As she steps through a set of double doors to enter the St. Helens High School gymnasium on a sweltering summer afternoon, it's just another day at the office for junior Maddie Holm. Sporting a pair of blue Nike slides and high socks, Holm has parked her bumblebee-yellow Jeep and headed inside for an offseason workout. An aura of humidity greets the Lions girls basketball team's top scorer as she sets her drawstring bag on the oak bleachers. "Both of my parents went to school here in the '80s," Holm said. "It hasn't changed much." Holm then grabs a basketball and gets to work. The 5-foot, 6-inch guard begins with ballhandling, layups and practice drives to the basket. When Holm has a friend or coach with her, she goes through pull-up shooting drills off the dribble to work on her foot placement. Her favorite team drill is the three-man weave. Next on this day is a series of ACL injury prevention drills. These include jumping side to side on a line and doing lateral heel taps on the hardwood floor. Holm then focuses on other scoring drills. She averaged more than 20 points per game for the Lions last season and is working on extending her jumper beyond the 3-point line. During spring practice outings and summer scrimmages, Holm, who has showed the ability to score from the wing and in the paint, began to knock down 1-2 shots per game from long range. A typical workout for her usually ends with light cardiovascular or strength training. Holm has been limited in the amount of free time she has had to train this summer. She does not have full-time access to the Lions' gym. Occasionally, though, a friend or coach is able to take her to work out at a fitness center in Columbia City. Holm plays club basketball for Team Concept, which is based in Milwaukie. Coach Michael Abraham also hosts open gyms in Portland, "but I'm typically not able to get there," Holm said, adding that "I have some other coaches who are able to get me gym time." She has been out of town whenever Team Concept has played in a tournament this summer. Holm also babysits — a lot — explaining that her parents, Nate and Melissa, wanted her to "be a kid" and enjoy common high school experiences. If Holm had her way, she would focus entirely on basketball. "Not doing basketball this summer, I don't know what to do with myself," she said. "But also, as much as I want to be doing basketball all the time, my parents are always reminding me to do things a kid would do." Holm has a hoop at home, which she uses to run through basic shooting and ballhandling circuits. To stay in basketball shape, she tries to get outside as much as possible. "I don't have any access to (a fitness club)," she said. "I don't have a membership at Columbia City, so that means I would have to pay." To substitute for weight training, Holm hikes, swims and does basic exercises, such as sit-ups and push-ups, to keep muscle tone. Holm will sometimes drive to Portland three times a week to practice with Team Concept. Before she earned her driver's license, Nate and Melissa would often make the hour-long drive with her. "You get used to it eventually," Holm said. Staying committed to training is a part of Holm's long-term goal. Since she committed to playing basketball competitively in sixth grade, Holm has wanted to earn a college basketball scholarship. "I really love the sport, and I want to work toward getting my education paid for because of it," Holm said. "My love for the sport truly drives (my motivation), but knowing that I have a goal to work for, it really just moves me." Alongside former Lions girls basketball coach Brittaney Niebergall, Holm began making a list of NCAA Division II and NAIA schools she would be interested in playing for. Holm does not plan on looking at any Division I programs. "I think she wants to go somewhere far enough away from home, but also not too far away, so we can go see her," Nate Holm said. "Obviously, I'd like to see her play for the (Oregon State) Beavers, but it's whatever is going to make her happy." Niebergall, who resigned as head coach in July to take a job in Sisters, played for Lewis-Clark State College in Lewiston, Idaho, after graduating from La Salle Prep in 2010. She encouraged Holm to visit the DII program at her alma mater. "I think there's no limit for her," Niebergall said. "I definitely would not put a cap on what she can do. As she continues to elevate, I could see her playing at any level of college basketball." Holm comes from a basketball family. Nate Holm coached her tournament teams through middle school and served as the Lions' junior varsity coach from 2014-2016 under former varsity coach Billy McKinney. Nate Holm's side of the family all played basketball competitively through high school while Melissa played for a year. Holm was introduced to the sport in fourth grade in a recreational league. "I remember thinking 'I really didn't like doing this,'" she said. "But once I started playing in tournaments, that's when it really started to click." Holm played a grade level above her age through middle school. Nate Holm said he knew she could be an elite player when he watched her play boys teams in practices or tournaments. Holm often suits up for the Lions boys team in summer scrimmages. Both Nate Holm and Niebergall say Holm showcased an uncanny basketball IQ and versatility for a sophomore player in 2018. Depending on an opponent's defensive formation, Holm often will drop low from the point to set up a teammate with an open look on the perimeter. If she receives the ball on the wing, Holm first looks to convert an assist before setting up her own shot. "Her basketball IQ is, in my opinion, ahead of anyone else at her age level," Nate Holm said. "Coming from a family that all played basketball, a lot of that gets passed down and it's fun to watch her develop in that regard." Niebergall said that while "her tremendous basketball ability and skills are what separate her, she understood the game at a level not many other sophomores do." As Holm has developed into a multidimensional scorer on the court, Holm has enjoyed the support of her entire family. Niebergall said the Holms were the Lions' best fans last year. "They were at every game and would have their own cheering section," she said. "They would sometimes all make signs for a certain game." Is Niebergall's assessment about the family fan support correct? "It's very true," Maddie said. "I have aunts, uncles, cousins, my dad's brothers, grandparents. My whole family is pretty much at every game." "It's not just for Maddie," Nate Holm said. "It's for everyone on the team." Holm's younger sister, Katie, is involved in rodeo. Maddie also has two cousins who play baseball in the spring and summer. Nate Holm said his family turns out in full force for those sports as well. Both sides of the family have lived in Columbia County for decades. Melissa works as a dental hygienist in St. Helens. Nate manages J.C. Custom Machining & Design in Hillsboro. The Holms live about a mile from the high school on the rural side of town. They have planted trees all around their 12 acres. To get home from school, Maddie drives north until the main road turns to a gravel hill. Once at the top of the hill, a clear-cut sits on the side of the road. Looking down, the Holms' one-story house sits atop a sprawling pasture. Living in the woods brings the Holms together outside. Nate and Melissa introduced their kids to outdoor activities at a young age. Maddie and Katie quickly learned to swim and ride horses. They also were exposed to four-wheel riding on quads, and still ride together. "We had little mini-quads," Katie said. Maddie often hikes on the rolling hills and roads that surround her house. The family frequently makes day trips to the Columbia River and goes camping overnight. Each summer, the Holms go to Corvallis for a family reunion. For vacations, the Holms usually head to Central or Eastern Oregon. They are taking a trip to Hawaii this month, which will be Maddie's "first big vacation on a plane." The Holms also taught Maddie the importance of being an ambassador to the St. Helens community. When she is not busy playing for St. Helens or Team Concept, she referees youth basketball games on Saturdays and Sundays. She helps facilitate St. Helens' annual youth tournament during the winter and participated in the Lions' car wash fundraiser in June. For her, community involvement is a way to increase public support for the girls basketball program. "Our student section isn't too great," she said. "We have a couple students, usually. But nothing like the boys games. "We want people to come watch us, too, and see what we've turned the team into. I think with the older community we have, it's great." 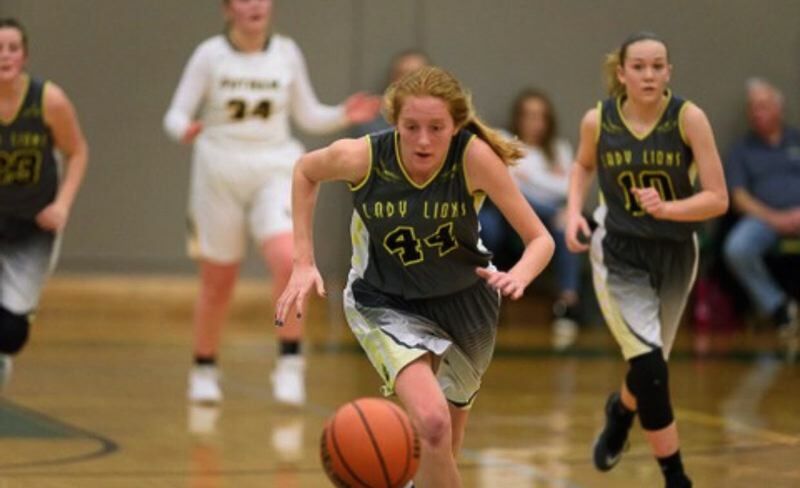 After arriving at high school, Holm instantly became a leader on the court for the Lions. McKinney named Holm to the varsity at the start of her freshman year. Holm remained with the team for the entire season despite a series of minor injuries. She then became Niebergall's leading scorer last winter. Holm also was a catalyst in bringing together a Lions team with a clear age divide. Last year's varsity team featured three freshmen, three juniors and a mix of sophomore and senior players. Holm said the Lions had to undergo a team-wide attitude adjustment and acclimate to Niebergall's coaching style early in the season. After an 0-4 start in nonleague play, things began to click. The Lions went on to finish 9-16 and earn a spot in the Oregon School Activities Association Class 5A playoffs. It was a fast turnaround for a program that has struggled to win consistently and gain traction in the Columbia County sports scene. Before Niebergall took over, the Lions had won just 15 league games over the previous 13 seasons. Holm said her experience playing at the varsity level as a freshman helped her step into a leadership role for the Lions. In addition to being a consistent No. 1 offensive option, Holm constantly cheers on her teammates on the court and from the bench. She thinks the best thing she can do as a leader is to help others play with the same confidence she possesses at both ends of the floor. "If I see a player struggling, I just go over to them and say, 'Hey, you've done this in practice.' Always giving them props when they do something good is huge. "If they turn the ball over on offense, just saying we'll get them back on defense, makes them stronger again." Niebergall said she thinks what will make Holm stand out even more in the future is not her on-court skills. "It's her off-the-court personality and leadership," Niebergall said. All of the above will again be put to the test next season. St. Helens is searching for Niebergall's replacement and will be breaking in a new coaching staff. Holm said the uncertainty surrounding the hire makes her more anxious to begin fall practices. "I want to get back in it and see how the team will develop," she said. "I'm ready to take on the challenge. "I think it'll be tough with learning new plays and things like that, but it's nothing we can't handle. We did it last season and look how great we were." Holm is motivated to further Niebergall's impact on the program. "I'm pretty close with members on the team, and we've been saying, 'We've got to keep doing what Brittaney and (assistant coach) Tom (Niebergall) taught us. We've got to carry on what they said and teach the younger kids this." The Lions are in a solid position to enjoy a strong start to the 2018-19 season. The team continued developing its renewed chemistry in the spring. A number of incoming freshmen are expected to swing between the junior varsity and varsity in the winter and practiced with the returning players throughout the summer. "They can be really talented, if they're coachable," Nate Holm said. "That new coach is going to be huge. St. Helens needs a coaching staff that will build off of what the Niebergalls were able to do, and start from the youth program up." Niebergall declined to speculate on how the Lions will fare over Holm's junior and senior seasons, but she said the program is in a good spot with Holm running the show. "With Maddie Holm there, St. Helens will continue to be a contender in girls basketball," Niebergall said. Holm could be a serious threat to claim Northwest Oregon Conference Player of the Year and all-state honors over the next two seasons. But she is more focused on guiding the Lions to a league title and state tournament berth. Holm also wants to see the public perception of the girls basketball program be on par with football and boys basketball. "Girls basketball isn't huge in St. Helens, so it needs to become one of those things that is a force to be reckoned with," she said. After graduation, Holm intends to pursue a health and physical education teaching position at the high school level. Her ultimate goal is to become an athletic director or academic administrator. 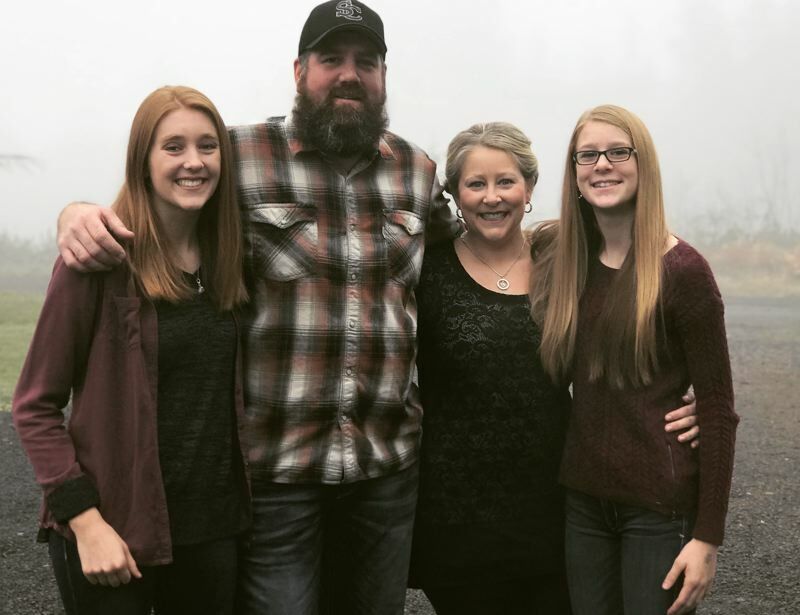 As to whether or not she plans on moving back to St. Helens post-college, Holm said she wants to start off by experiencing a different area of the Pacific Northwest. Holm said St. Helens basketball and the lessons the community has taught her over the years will always stick with her, however. "I'm always going to remember it," she said. "I think it's just a forever thing."